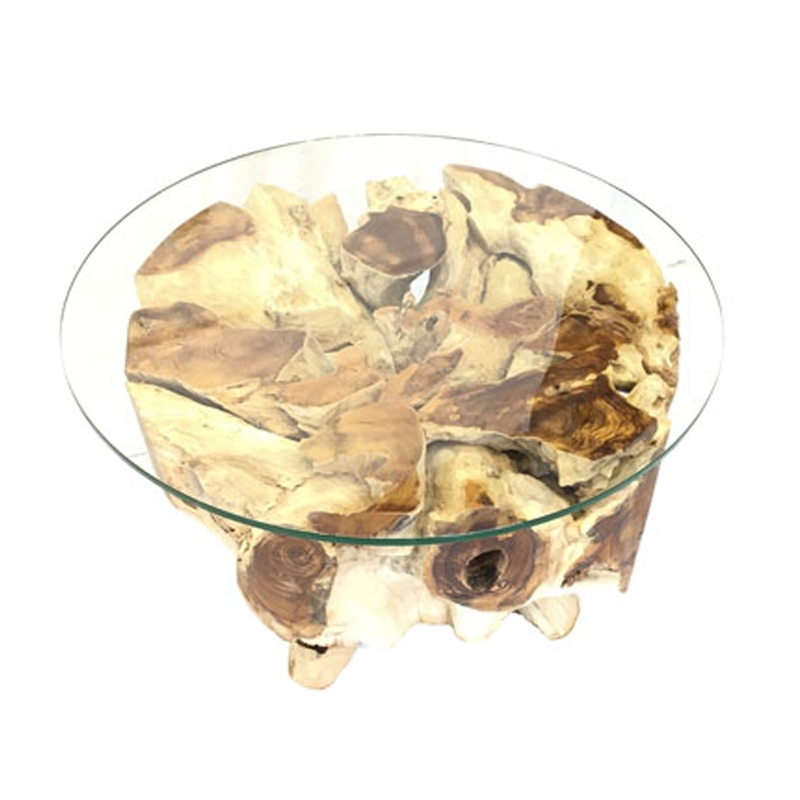 We are very proud to introduce this magnificent Teak Root Coffee Table Spider Stone Round With Glass Small. This coffee table contains a "Spider Stone" designed base. The base holds up a small round glass surface. This piece is created from teak root which enhances the original and contemporary style.